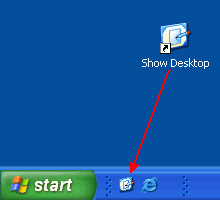 The show desktop button has its roots in Windows XP. In Windows XP it actually looked like a button. See? It lost weight in Windows Vista and in Windows 7… but it still looked kind of like a button. In Windows 10, it’s gotten downright skinny. Look at the very bottom-right corner of your taskbar – to the right of the clock – to the right of the Action Center icon… see it? At the very right edge of your taskbar is a skinny strip – a sliver of a button. Just click it to minimize all open windows and bring your desktop into focus. We call it the show desktop button. You can call it what you want? How about tiny? See the tiny strip along the right edge? That’s your show desktop button on Windows 10. Aye! It is! Another tip. 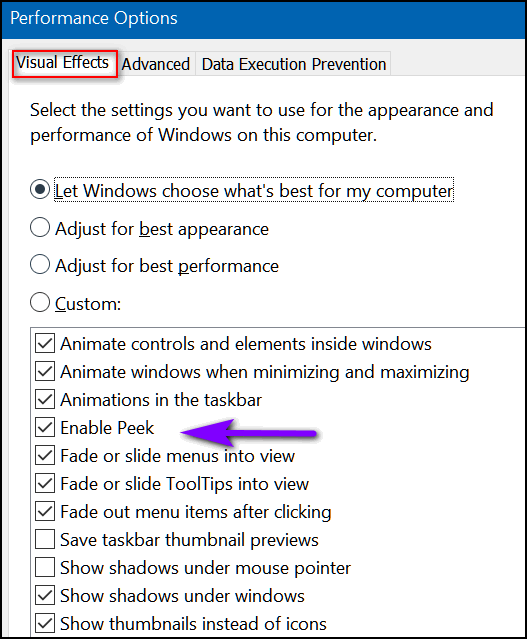 If you hover over the “show desktop button” and you have “Use peek to preview the desktop” set as your preference in Settings > Personalization > Taskbar > “Use peek to preview the desktop”, you’ll be able to peek at the desktop without minimizing any open windows. It makes all open windows transparent. See? Oh… my wallpaper? 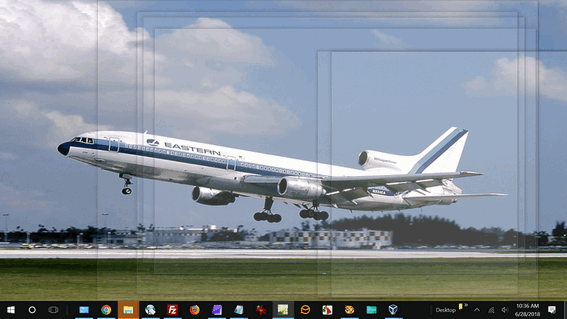 That’s an Eastern Airlines’ L-1011..
My “Use peek” button is grayed — and it’s set to “yes” but it doesn’t work. No big deal, but curious. Then make sure “Enable Peek” is checked. 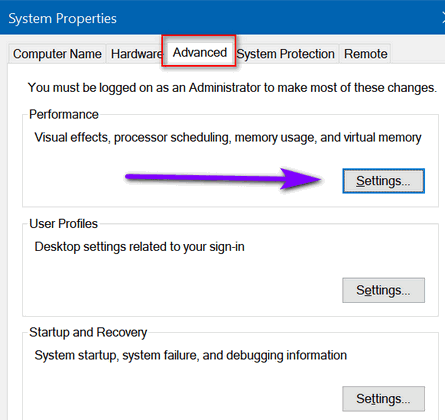 If you have selected “Best performance” none of these will be checked, you’ll need to check “Enable Peek”. Thank you for this great tip. I had Desktop and then a popup list to the left of the clock. This tip is faster. Another time saver that’s worth remembering. This is not the problem , I have the desktop button at the right of the taskbar. The button I was referring to is the button that appears at the right of the search bar having 2 lines, squiggly or Vs when clicking the button it shows all of the desktop screens of my open programs is small desktop screens at the top of the desktop. That is the button I was referring to. And it was a real quick answer that you gave me that I have been unable to find it in my overrun desk. Hope this helps.